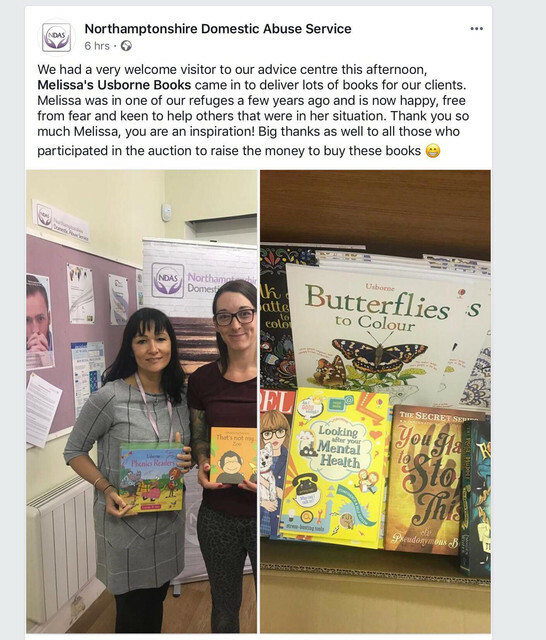 It looks like this woman who used to be in a Northants refuge has been suckered into becoming an Usborne rep. Then, the refuge has held an auction to raise money to buy books from her to ‘support her bizniss’. I mean, you think she’d have at least donated them, given the circumstances. Or if they’d asked local people I’m sure they’d have had a million books donated. I hope to god she hasn’t been allowed in there to recruit. It’s essentially a free advert for her books. How many other businesses who are providing paid-for services get free adverts from NDAS? Please note: All content on this blog has been provided to us by anonymous sources.